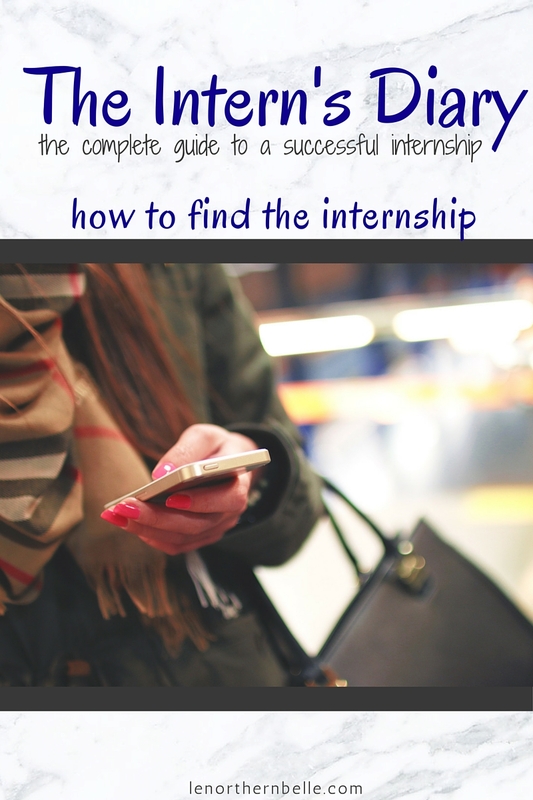 Before this guide can be of any use to yourself, you need to actually have an internship. Duh! This step, however, is a lot easier said than done. Many companies and organizations offer internship positions but for some reason, they're often difficult to find out about. There's nothing more rattling than knowing you have the skills and qualifications for your dream internship, but for some reason, cannot find any openings to apply for. Before the internship search begins, you need to get your documents all in order. Your documents should include your resume, reference letters, past experiences, portfolio/work examples, etc. For the most part, these elements within an application will stay fairly consistent between job applications. This is especially true if you're applying for positions within the same job field. Make sure that your contact information and experiences are as up to date as possible. You'll also want your work examples to reflect the best work you've done and that will give credibility to the skills you've written in your resume. For example, if one of your skills is that you're proficient in website coding, you should definitely have a link in your portfolio to a website you've coded. Get the point? With your application, you want whoever it is that is reviewing your application to get a good understanding of your abilities. Your work examples are like a form of proof to back up the skill claims on your resume. make sure that any information you provide in your application is completely error free! errors definitely do not make a great impression! Like I said earlier, finding the hiding spots of internship positions are not as easy to find as many may assume. Now, if you are a university or college student, (and I'm pretty sure this also applies to alumni) you most likely have a career centre of some sort. From my knowledge, the purpose of these departments are to prepare and help students find positions and jobs that they may not know exist. I would definitely suggest booking an appointment with one of the job counselors at these centres because they definitely have great insight on what is available within the job market. It's literally their job! If they are like my university's career centre, they'll offer workshops and courses, such as: resume reviewal, interviewing tips, and skills assesments that you can enroll in. These are all free services that are offered (and by free I mean, you've probably paid for the service with your tuition and didn't know), so definitely make the effort to take advantage of it. In addition to looking at your career service, talk to people! Your friends, family, professors, faculty members, student societies, etc.. You never know who or what someone might know when it comes to possible positions. Think of it like having multiple eyes looking for positions as opposed to just the two you have. For example, one of the internships I have this summer was through a posting that my sister's university's student communications society had on their Facebook group. If my sister didn't know that I was applying for positions in that field, I would probably have not known about it. The more people who know what you're looking for in a position, the more places that are being looked in. Having a list of companies you would love to work for helps in the game of job search. When I was looking for internships, I had a list of dream PR agencies that I would love to work for. Most companies will have an "available internships" section on their website, however, some might just have an email contact. If you haven't done cold emailing (cold emailing sounds a little harsh, so we'll call it email outreach) before, well then congratulations, today is your first day! Learning how to effectively reach out to employers is a great skill to learn and if done well, in my opinion, shows more motivation than just applying to an available position. In essence, what your email should include is a personalized cover letter (which will be typed in the message portion of the email), resume, contact information and links to any relevant pieces of work. In your cover letter, you want to write out how you are interested in learning about any possible internships they may be offering, what the application process is, and why you see yourself working at the company. Once you've done all this, you want to look in the directory for either an internship coordinator/director, human resources manager or the director of the field you'd like to be in within the company (i.e. the communications director). This is who you'll be sending your email outreach to. If none of those positions can be found, contacting whomever it is that is charge of hiring employees will be your best bet. @ MyDreamInternshipCompany Are you offering any internships for the Summer 2016 season? If you're looking for summer internships, you're not the only one! Literally tens of thousands of other university students are also looking for internships and because of that you want to get in the job search game early. Now some summer positions are released as early as December so getting in contact with a company about a potential internship around that time can be helpful in getting relevant information about the application process. If you are looking for an internship for another term (i.e. fall term, winter term, etc.) applying (and emailing about internships) approximately four to five months before that term would be a good rule of thumb. This week's challenge is a comment challenge! At the bottom of this post, I want you to leave a comment post talking about what you've done or tried to do when looking for an internship or job. What worked, what didn't work and what advice do you have to give to other readers? Feel free to further elaborate on the points I've made.